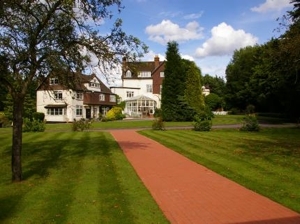 Spread throughout the city of Guildford, there are many hotel options that provide different bands of pricing, varying amenities and unique experiences. From smaller boutique bed and breakfasts, cosy rooms in local pubs, traditional hotels with just the basics, rooms in historic listed buildings and more luxury accommodation with all the added extras, there are plenty of options for your next visit to Guildford. In this section, we categorise the hotels in Guildford by pricing, including: Budget (£60 and under), Mid-Range (£60-£140) and Luxury (£140+). These price ranges are just estimates based on regular season bookings. Pricing may vary during peak seasons and popular events. For each hotel, we also provide information about the types of accommodations and the varying amenities offered, such as coffee and tea making facilities, Internet access options, laptop safes, mini bars, amongst others. We also take a closer look at the dining options in each hotel, as well as the added extras, such as gyms and swimming pools. To read our full hotel review, please click the down arrow specifying ‘more details’. With an environmentally friendly approach to business, Asperion Hotel is a 4 AA Star guesthouse near to the centre of Guildford. The hotel is conveniently located close to Guildford train station and the Yvonne Arnaud Theatre. With contemporary and simple design, Asperion Hotel operates within a socially responsible ethos, using organic, fair-trade and locally sourced products, and takes steps to promote recycling and energy reduction. The hotel has a small dining room where breakfast is served each morning between 7am and 9am. Cooked food is offered alongside a breakfast buffet with various options. Evening meals are also served in the dining room Mondays to Thursdays from 6.30pm to 8.30pm, with the focus on seasonal, local, and organic produce. In the Asperion’s lounge a small honesty bar offers locally produced ales, organic wines, various spirits, as well as soft and hot drinks. 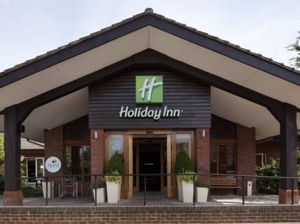 Located on the western edge of Guildford, adjacent to the Surrey Sports Park and the A3, The Holiday Inn Guildford has 168 rooms and suites, a restaurant, bar, and health club with spa services. 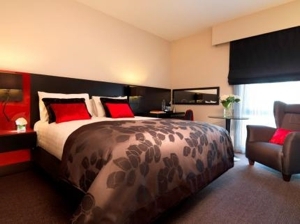 This four star rated accommodation also includes business services and complimentary parking. With modern décor and a good selection of amenities, the Holiday Inn has plenty to offer both business and leisure travellers alike. Executive rooms are larger, and guests benefit from additional services such as complimentary chocolates and mineral water, as well as free Wi-Fi. Suites are open plan with two double beds and a comfortable seating area. The Holiday Inn’s restaurant, Let’s Eat, serves brasserie style cuisine in a relaxed and informal dining room. There is a large courtyard where guests can enjoy al fresco dining during the summer months. The restaurant serves breakfast, lunch, and dinner, and children accompanied by an adult paying for a full meal can eat free of charge. Brunch is served in the lounge bar where there is also a selection of Starbucks coffees and hot chocolates available to enjoy either in the lounge or to take away. A selection of alcoholic drinks are available, and a large television shows live sporting events. The Spirit Health Club is located within the Holiday Inn Guildford and hotel guests receive complimentary access. The club facilities include a 15m indoor swimming pool, steam room, sauna, Jacuzzi, and fitness centre with various cardiovascular and strength training equipment. Spa services are provided in relaxing beauty treatment rooms, including massages, body and facial treatments, and special wedding packages. There are a number of business services available to hotel guests, including secretarial and courier services. The hotel has several conference rooms, and can accommodate events for up to 180 people. Set in the centre of Guildford, Guildford Harbour Hotel, formerly known as the Radisson Blu Edwardian, provides luxurious accommodation with contemporary and stylish design. After entering through a sleek glass wall guests are transported into a dramatic double height lobby inspired by the works of author Lewis Caroll. There are ladders climbing up walls of shelves, a unique stand-alone box that contains comfortable seating, and a large chandelier. The unusual design continues throughout the public spaces that include a bar, a restaurant, a fitness centre, and a spa. This is Guildford’s newest hotel having opened in 2011, and its central location makes it an excellent choice for guests visiting Guildford, with parking available at £12 a day. Steak and Lobster, named for its two specialities, is the in-house restaurant. Open from 7am, the restaurant serves breakfast, lunch, afternoon tea, and evening meals. The main course menu is simple; guests choose either steak, lobster, or a vegetarian burger, and accompany it with a choice of sides and unlimited fries. Children are catered for extremely well with an extensive three course menu that includes a number of healthy options. Afternoon Tea is served between 2pm and 5pm and again takes inspiration from Lewis Carroll, with the “Queen of Hearts Jam Tarts” among the delights on offer. The hotel’s bar, MKB, has a strict over 21 years only policy, and serves a range of cocktails and other beverages, and has resident DJ’s providing entertainment during the evenings. Treatments available include physiotherapy, massage, waxing, and facials. In addition there is a small but well-equipped gym with Technogym machines. A popular beauty spot with spectacular views of the North Downs provides the backdrop for the Manor House Hotel. Located in Newlands Corner, with its picturesque chalk grassland and rolling hills, the Manor House Hotel is approximately 4 miles east of Guildford and is a romantic and rural retreat with excellent leisure facilities. All rooms have en-suite bathrooms with showers over bathtubs, and the larger rooms benefit from comfortable seating areas. The Manor House’s Restaurant, Café-Bar and Grill, is open for all day and serves modern British brasserie style cuisine. A traditional roast dinner with all of the trimmings is on the menu each Sunday and is popular with residents and non-residents alike. The Bar has a spacious lounge area and outdoor terrace and has a traditional English country pub ambience. The Aqua Roma Spa at the Manor House Hotel features a beautifully designed heated indoor pool set within a glass conservatory with views of the hotel’s grounds. In addition, Aqua Roma has a sauna, jet spa, steam room, dance studio, and a fitness suite with state of the art equipment and televisions. Treatments include facials for men and women, massages, and bridal make-up sessions. Spa break packages are available that include accommodation, meals, and treatments. The hotel has two large conference rooms with capacity for up to 150 people. Activities can be organised by business events, whilst weddings can be booked with exclusive use of the entire hotel. Providing simple, no frills accommodation in the centre of Guildford, The Albany offers guests a classic British pub experience with gastro-pub cuisine. 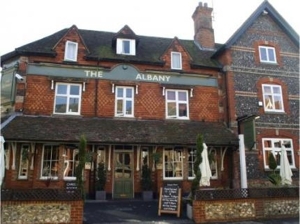 Located on Sydenham Road, The Albany is just a five minute walk from Guildford’s High Street and close to the Royal Grammar School. With just four low-cost rooms, The Albany is ideal for travellers seeking to visit Guildford on a budget. Despite its size, each one of the Albany’s four rooms includes en-suite bathroom facilities. There are three double rooms, one of which has twin beds, and a triple room for larger parties. The accommodation is basic but spacious. Each room has a television, desk, and there is complimentary Wi-Fi. In addition a small fridge is provided with milk and orange juice, as well as cereal for breakfast. The Albany has undergone a management change and refurbishment, and has developed a reputation for providing excellent food. The internationally inspired menu uses locally sourced produce and also includes a selection of gourmet burgers and “pub classics” such as Ham and Chips. Sunday roast is served between 12pm and 6pm and includes all of the trimmings. The bar proudly serves real ales including a seasonal selection, as well as a number of classic cocktails and other beverages. There is a beer garden outside to enjoy during the warmer months. 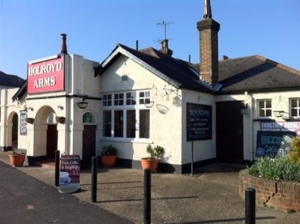 A self-proclaimed “good old-fashioned British Pub”, The Holroyd Arms is close to the University of Surrey and Guildford Cathedral and is a small bed and breakfast north of Guildford centre. Offering basic accommodation at budget prices, The Holyroyd Arms follows the British tradition of pubs providing a place to enjoy a social drink in the evening and a comfortable bed for the night. There are eight rooms at The Holroyd Arms and all are located at the back of the main pub building in a separate annex, ensuring the guests are partially shielded from the noise typical of a busy and lively pub. There are three doubles, four twins, and one triple room. All of the rooms are small in size and simply furnished, with basic amenities that include a television, Wi-Fi, and tea and coffee making facilities. The en-suite bathrooms have showers only. In the mornings, the pub opens as a café serving a traditional English cooked breakfast with vegetarian options available. The café menu is limited, but offers good value for money. Lunch and Evening Meals are also served, with food that is typical of a British pub, including classics such as burgers, pizzas, curries, and Sunday roasts. The bar has regular offers for its drinks selection, including all drinks for £2.50 on Thursdays, and has a good selection of favourite pub games, such as darts and pool. There is regular evening entertainment with local bands and DJs. Outside there is a decked terrace with a covered smoking area. The Holroyd Arms has a small function room available to hire that includes its own kitchen. 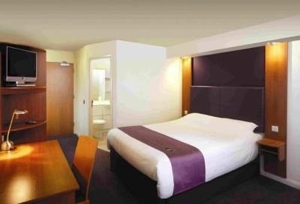 With excellent access to the centre of Guildford, the Premier Inn Guildford offers low cost accommodation in a convenient location. The hotel is adjacent to Stoke Park, an eighteen century designed park with numerous facilities including tennis courts, children’s play equipment, and a model boating pool. As part of the national chain of Premier Inns, the hotel is known for providing simple and basic rooms. A range of room sizes are available, including single, twin, double, triple, and rooms with two double beds for families. Children under 15 years stay free of charge. Premier Inn’s operators Whitbread also operate the Beefeater chain of restaurants, and there is one adjacent to the Premier Inn Guildford, where the hotel’s breakfasts are served. Cooked and continental breakfasts are provided and can be included in the room rate. Children eat breakfast for free when accompanied by a purchasing adult. The Beefeater serves main meals from 12pm until 11pm and the menu is typical steakhouse fare. In addition the restaurant serves Costa coffee and free Wi-Fi is available. 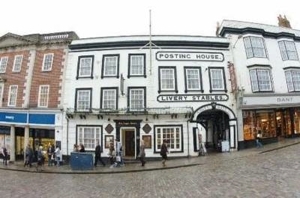 A landmark on Guildford’s historic high street, the Angel Posting House hotel is hosted in a delightful Grade II Tudor building with timber framing. With 22 rooms including one self-contained apartment, and two restaurants housed in the building, the Angel has much to offer guests seeking accommodation in a central location. Nearby is Guildford Castle, and the train station is just a short walk away. Double and Twin rooms are available, along with Junior and Deluxe Suites that benefit from an additional seating area. There is one self-contained apartment with one double bedroom, a fully equipped kitchen that includes laundry facilities, and an open plan living and dining room. The apartment has its own private entrance and unlike the rest of the hotel it is presented in a contemporary urban style. There are two restaurants located within the Angel Posting House. Housed in the former ballroom, The Angel Dining Rooms offers British cuisine using seasonal produce sourced from artisan producers in the UK. The restaurant serves lunch and dinner Tuesdays to Saturdays and traditional roast dinner on Sundays. On the ground floor of the Posting House, Bill’s Restaurant is a contemporary eatery that has recently opened following a refurbishment. Bill’s is open daily and serves breakfast, lunch, afternoon tea, and dinner. The cuisine is typical modern British brasserie food, with a good selection of dishes available. The bar has an extensive range of alcoholic and non-alcoholic drinks and there is free Wi-Fi for the use of diners. The Angel is licenced to perform wedding ceremonies and has the capacity to accommodate up to 50 people for a banquet style event. 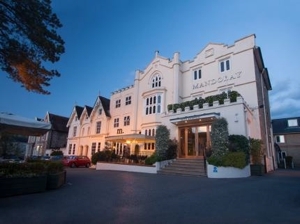 With four AA stars, a number of conference rooms and suites, and 72 delightfully presented rooms, the Mandolay is one of Guildford’s premier destinations for event hosting. The Mandolay has an enviable location, being close to the G Live arts centre and just a few minutes’ walk from the centre of Guildford, and there are a limited number of free parking spaces available. The hotel’s modern amenities and extensive event hosting experience makes it an ideal choice for the business traveller, whilst the sumptuous accommodation will appeal to leisure travellers seeking an indulgent break. 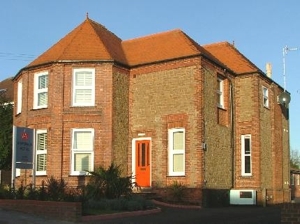 A range of rooms are available, including single, double, triple, and family. Suites are large open plan spaces with a bed and a sitting area. The sophisticated Restaurant At The Mandolay has an extensive modern British menu that includes a number of grill options. Food is sourced from around the UK and the focus is on quality and fresh ingredients. In addition to lunch and dinner, the restaurant serves breakfast, with an option for an unlimited cooked breakfast buffet from £15 a person. From 2pm until 5pm Afternoon Tea is served with a delicious selection of cakes and pastries. The Bar has its own menu with a tempting array of burgers and classic British dishes, including sandwiches and other light bites. There is a heated terrace where guests can enjoy year-round al-fresco dining. The Mandolay has several conference rooms that can be joined to create conference suites that can accommodate up to 500 people. The rooms are fitted with technologies including iPod connections, integrated speakers, and wireless microphones. From February 2015 the Mandolay will offer Spa treatments. 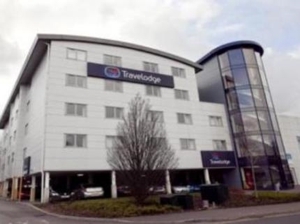 Recently renovated and given an updated and contemporary look, the Travelodge Guildford is a budget hotel offering basic accommodation for a low price. Located just off the A25, this national chain hotel is conveniently situated for road access into Guildford’s centre, and has good road links for exploring the picturesque Surrey countryside. The University of Surrey and Guildford cathedral are both close by, as is Guildford’s main rail station. All of the accommodation has modern décor using Travelodge brand blues and reds. The Guildford Travelodge is one of a number of Travelodges that has a Bar-Café in the ground floor, providing guests with a place to eat and drink. Breakfast is served daily from 7am during weekdays and from 8am during weekends, and a hot and cold selection is available. Children eat free when accompanied by a paying adult. Evening meals are served from 5pm until 10pm, with a range of dishes on offer, including pizzas, pasta, and burgers. A small selection of alcoholic drinks are also served.